I meet Nicole, the brains behind BitMoms at the SVMoms Brand Blogger Meetup. I was so impressed with the BitMoms community I asked her if I could giveaway a copy of BitDefender and some of the awesome bath products custom made for us. I am not very technical, I get by because I am married to a Network Admin who does all the hard work! So please welcome Leticia, a mother of 2, school technology magnet coordinator, blogger, and also Chief BitMom for BitMoms.com. Leticia is here to discuss the importance of keeping our families safe online and the free resources available through BitMoms. These days everyone is online and while the internet is a treasure trove of resources, it can also be dangerous for our children. Kids unknowingly share too much information about themselves by not setting their privacy controls on Facebook. Peers can anonymously cyberbully through Formspring and saying the mean hateful things can crush a classmate’s self esteem. And did you know that your kids may be engaging with strangers in your own living room? Gaming platforms that automatically connect to the internet are a way for strangers to invite themselves into your children’s lives through multiplayer gaming. As a mom of two children, one of my most important jobs is to protect them. Whether on the playground or online, I always want to keep my loved ones safe. Keeping my children safe doesn’t necessarily mean putting them in a bubble. Instead, I make it my job to know the risks of the online world by becoming knowledgeable about how the tools my children use on a daily basis. My need to know the potential hazards of being wired is one of the reasons why I have partnered with BitMoms, powered by BitDefender. BitMoms is a free community dedicated to parents who are interested in internet safety and security. We provide tools you can use to ensure your family’s online safety. Of course not all of the dangers of the internet are directed at our children. BitMoms also provides access to resources through our Content Library where you can find information about how to protect yourself when doing online shopping, protecting your Facebook photos, and download a PDF about online safety to share with fellow parents. You can read up on current topics relating to online safety through our Blogs section or post a question to our members through our Forums section. Our community is made up of moms who are dedicated to keeping their families safe online and we hope that you will come join us! Leticia Barr is Chief BitMom for BitMoms.com and the founder of Tech Savvy Mama, a site that assists parents in finding the best technology products, websites, and resources for children of all ages. As a mother of 2 and as a technology magnet coordinator for a large DC Area school system, she’s dedicated to the issue of internet safety and keeping all kids safe online. 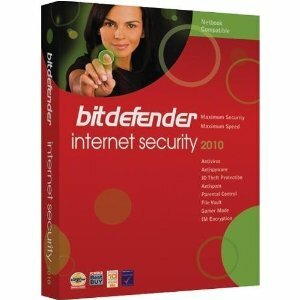 I'm giving away one copy of BitDefender and a homemade bath gift basket. Just leave a comment here telling me what your kids do online and/or what activity concerns you the most. Giveaway is open to the US only (lower 48) and will end at Midnight July 1. 2010. Winner will be chosen with Random.org. Found you from Life Without Pink. Liked what you said there, so followed you over. Looked at your content, so now I'm following. Thanks so much for having me on Peanut Butter in My Hair! It was a pleasure writing a guest post for you and I look forward to meeting your readers in the BitMoms Community! Okay, count me in. My kids do everything online from PBS Kids to FaceBook and youtube because of their age ranges. The possibility of stalkers concerns me the most. I'm in. My 5 year old is a little too computer savvy for his own good. I'll put him on a site like PBS kids and he'll find his way to watching a cartoon on Cartoon Network. A little scary that he can find his way around so easily. Ugh my son cruises you tube for great old cartoons, but runs across a lot of not so great stuff in the process. I really need to address this issue in our home. My 5 year old is often on Youtube, which I monitor by peeking in periodically from the other room (not the safest system). He usually watches other kids reviewing Lego sets, or stop-motion videos kids have made using Legos. Furthermore, my 21 month old just figured out how to click the pictures to get to more Youtube videos this morning! She watches baby and animal slideshows. Our boy has found friends online lately, which we had to check into. I think kids using the internet at all is scary - even if they aren't seeking out 'new online friends' or adult subjects, they sometimes come across them accidentally.